Now that the New Year is officially upon us, it's time to get back to work (however reluctantly). If you're set on boosting your productivity in 2018, it's probably time to reevaluate your workspace. Arguably, one of the easiest ways to keep procrastination at bay is by finding the right organizational tools so you can stay focused on the task at hand. Ahead, we're rounding up some of our favorite desks to help you get one step closer to your goals. Whether you're furnishing a full-on home office or carving out a dedicated workspace in a corner of your bedroom, these are hands down the best desks for getting your life together in 2018. 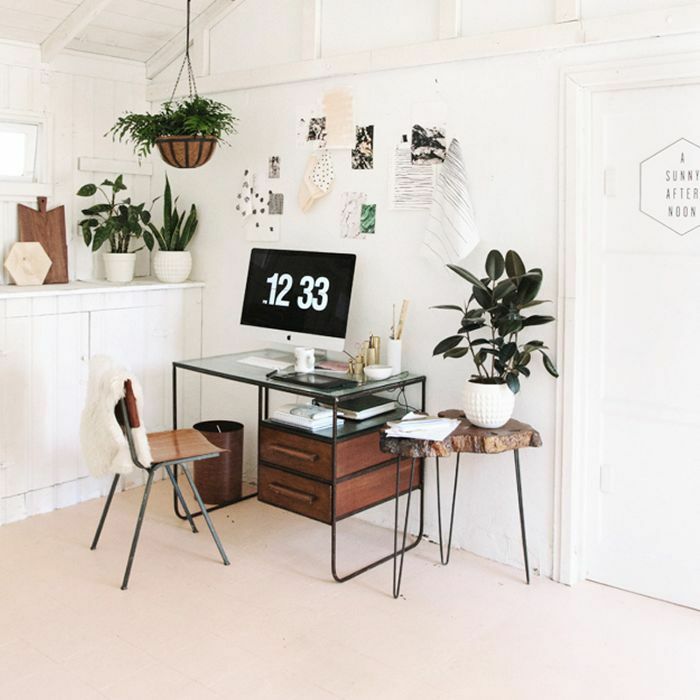 From a splurge-worthy workspace workhorse with built-in storage to an affordable midcentury-inspired design, you're sure to feel like the boss you are behind any of these stylish yet functional desks. Honestly, working from home has never looked so good. 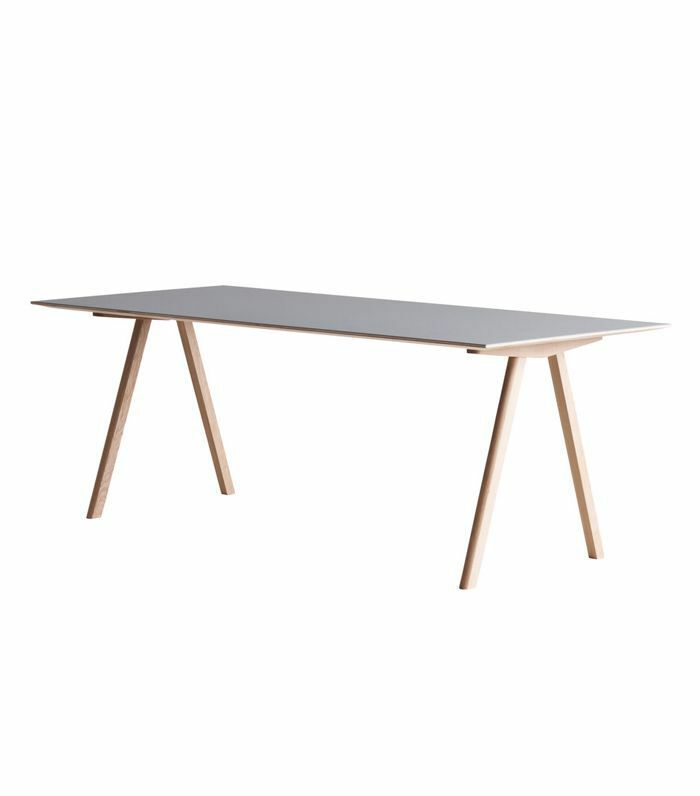 Keep scrolling to shop 11 desks for home offices that are sure to boost your productivity (and your workspace's style). 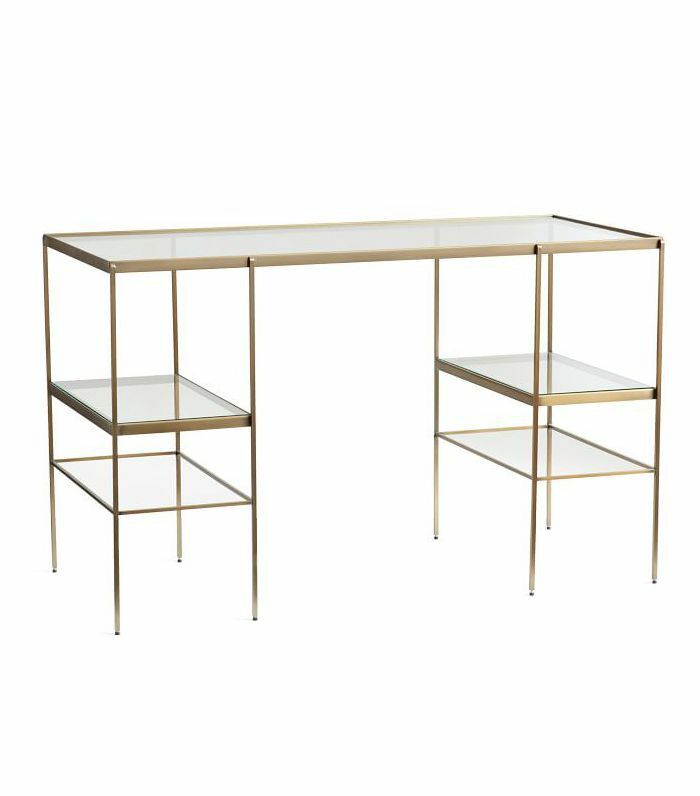 Complete with built-in shelving, this glass-topped desk is both stylish and functional. 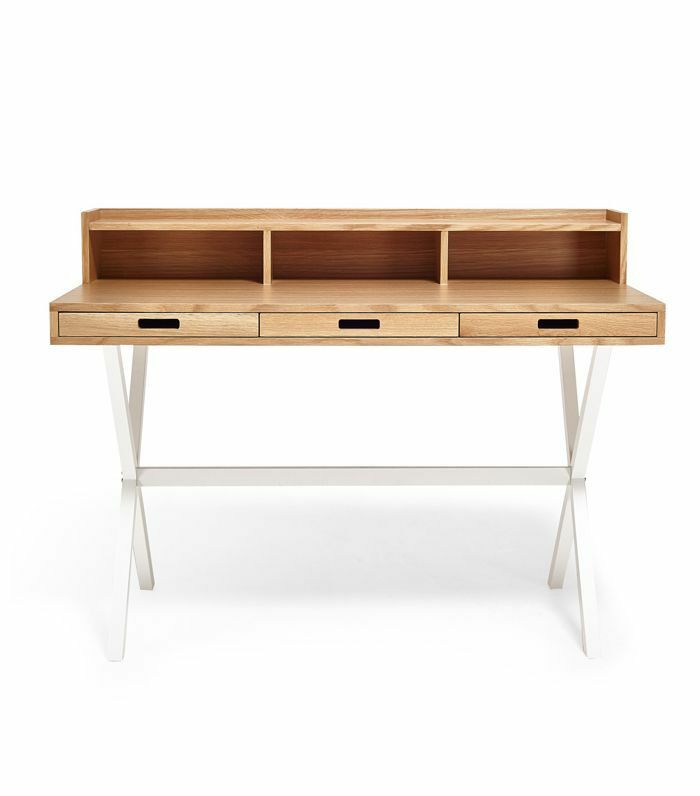 Featuring a side cabinet with three spacious drawers, this desk is a workspace workhorse. 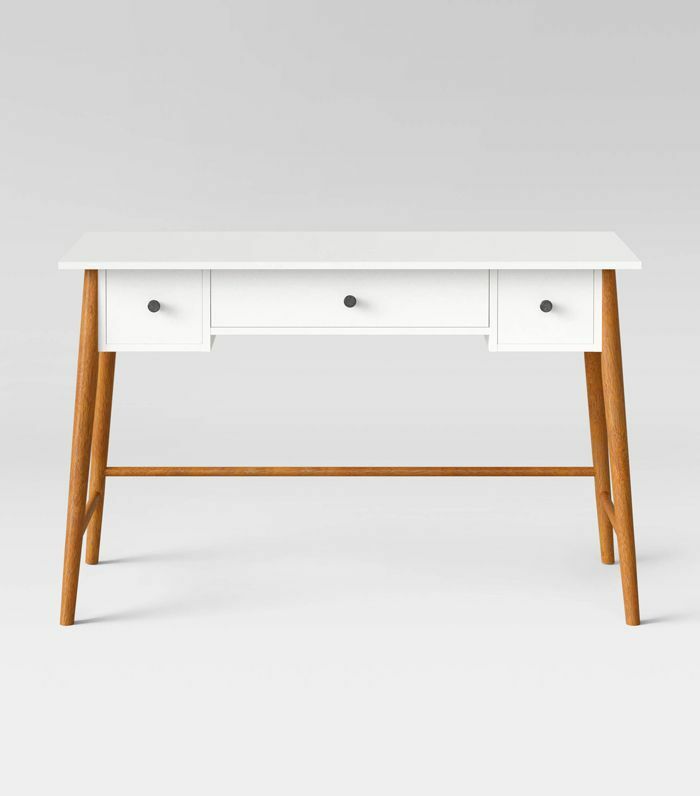 You'd never guess this beautiful midcentury-inspired writing desk is from Target. 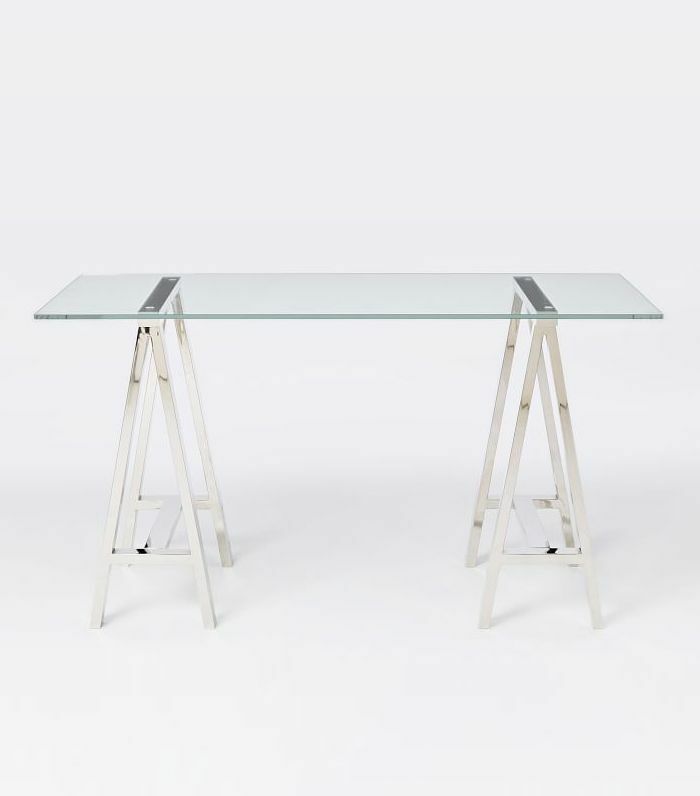 This transparent acrylic desk from CB2 is barely there, making it ideal for workspaces that tend to accumulate clutter. 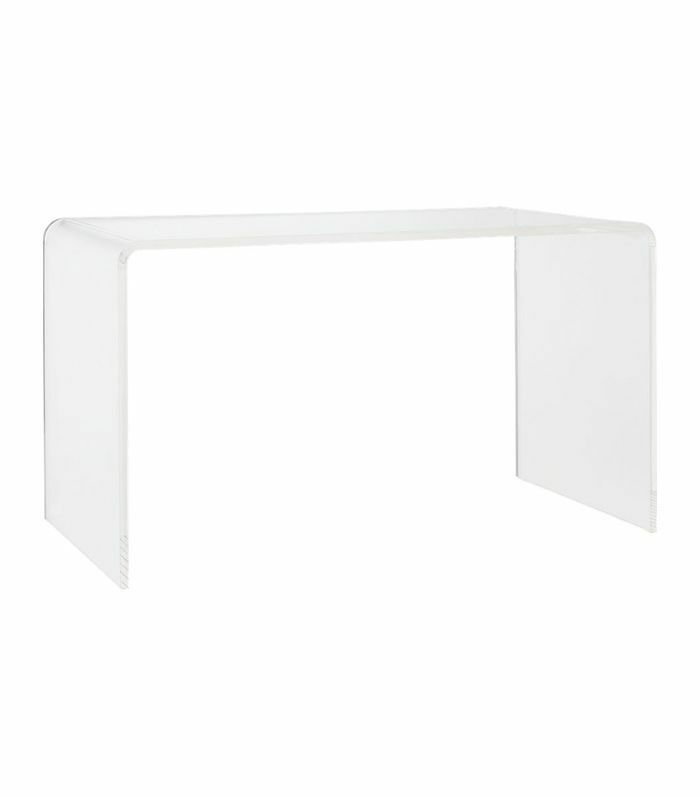 Clean and modern, this desk would add a touch of contemporary style to any home office. 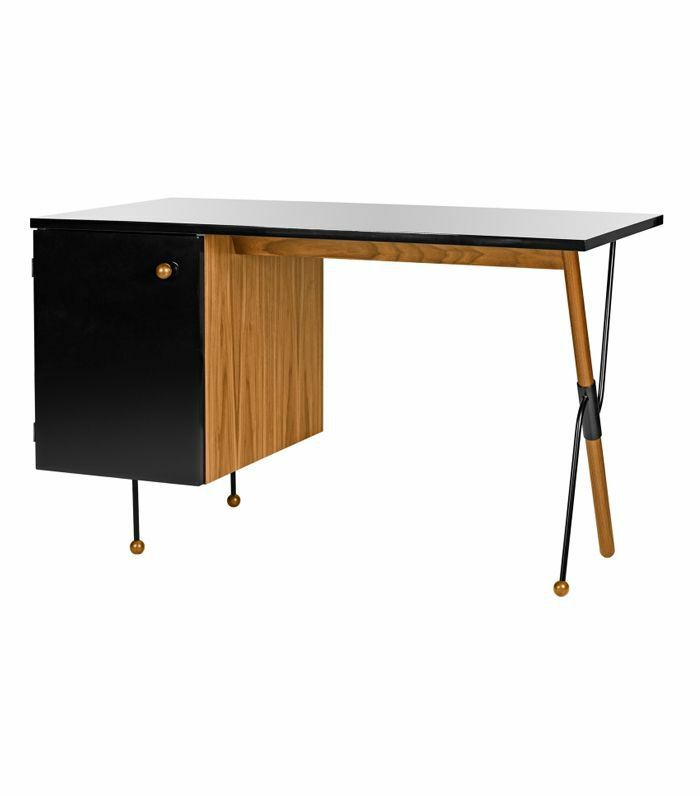 Make the most of a blank wall with this midcentury-inspired desk from West Elm. 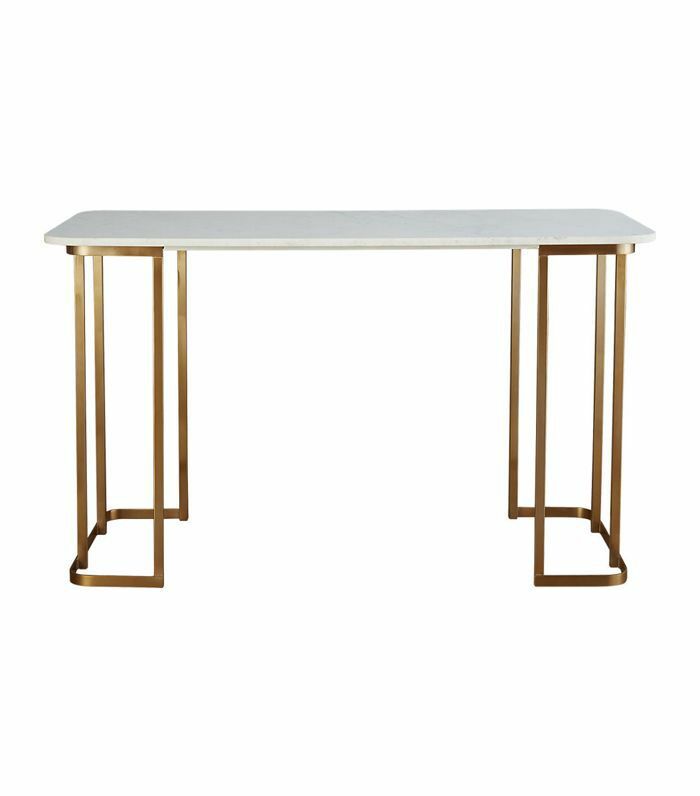 Marble and brass come together in this pretty yet practical desk design. 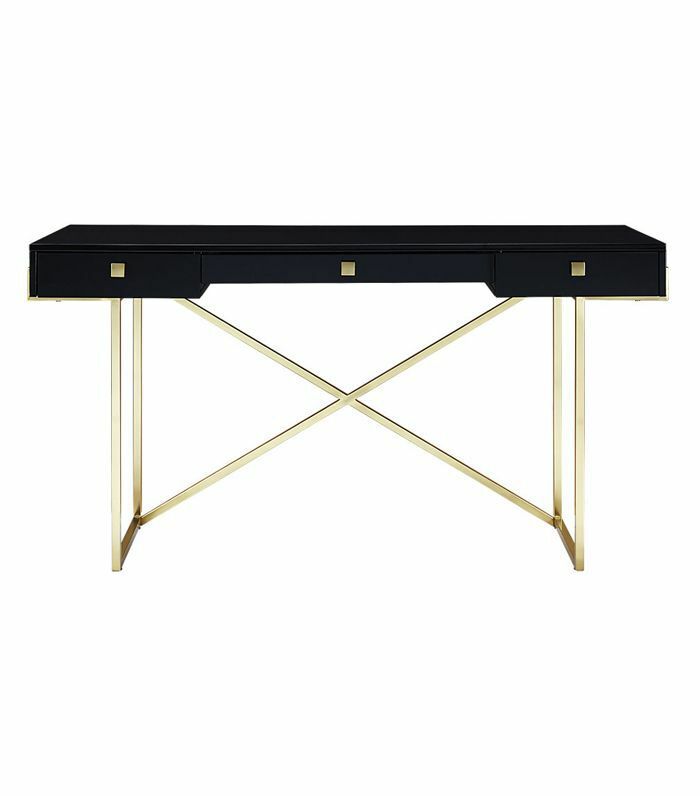 With its high-gloss finish and eye-catching leg design, this sleek desk will make a sophisticated impression on anyone who enters your home office. 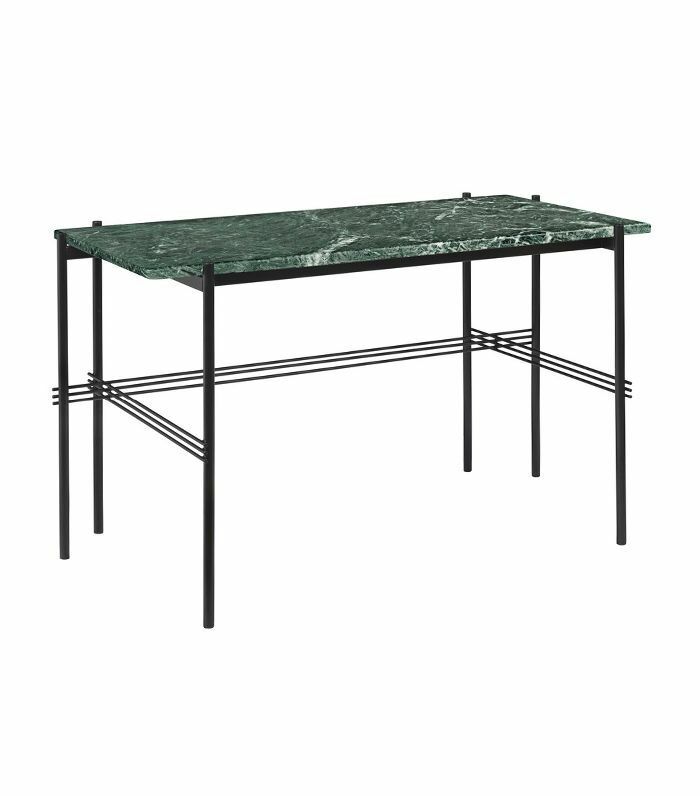 Boasting sleek architectural lines, this isn't your typical marble-topped desk. Though it may be simple, this sensible, Scandinavian-inspired design is anything but boring. 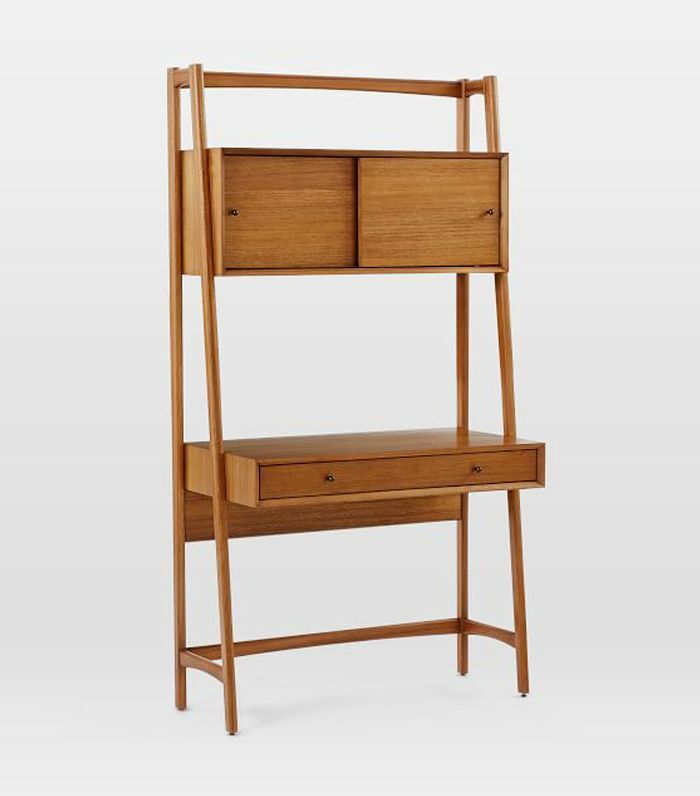 A secretary desk with built-in cubbies and drawers is the right investment for a small home office.